This Band is Too Big! This Room is too Small! This Band is Just Right! • Comments Off on This Band is Too Big! This Room is too Small! This Band is Just Right! So, you’ve found the perfect band and the perfect venue, but are they two great tastes that don’t go great together? Yes… That’s a thing. Will the band stand fit in the venue? Can the band physically get their equipment into the venue? What if they are too loud? These are all questions that should be addressed when choosing a band for your big event. Is the Band too big? 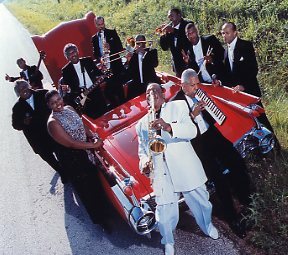 The big trend in wedding bands now are Motown style bands with with big blasting horn sections. These bands typically have 10-20 members and once you add in drum sets, sound equipment, lighting rigs amplifiers etc… they still need a place to stand. It is extremely important to check with your venue to see if the can accommodate a large band. All of the info you need should be available in the band tech rider. It will tell you the minimum amount of space a band needs to set up and put on the best performance possible. Also, a large band crammed onto stage that is too small looks sloppy; a band that is too small for the stage looks unprofessional. Another factor you need to think about is how easy/ difficult the band load in will be. This can take anywhere from 1 hour to 5 hours depending on where the loading dock is (if there is one). Band equipment is large awkward and heavy. Check with the venue manager about load in and ask him how much time it typically takes for a band to get set up. 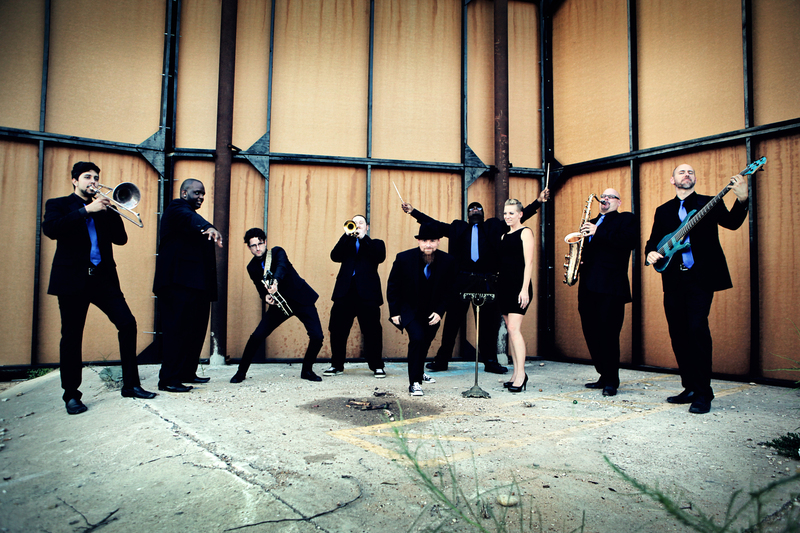 GCE has booked bands in almost every event space in Houston many times with different bands. We will be able to tell you exactly how much time most bands need to get set up in your venue. The last thing you want is a band starting sound check when your guests arrive because you underestimated the load in time. Is the Band too Loud? Nothing will clear a room at a wedding reception faster than a band that is too loud. We’ve seen it happen, and unless you want leftovers for months, it is a good idea to select a band that will fit the room (and the power availability! See our recent blog post Are You Sure There’s Enough Power for more on that topic), engage the crowd and keep the floor filled all night. This is your wedding, not a rock concert. Your guests want to talk, eat and dance. A band playing at ear splitting volumes will kill the vibe instantly. Yes, you can ask them to turn down but sometimes they won’t be able to turn down enough if the room is too small. If the band set up looks like the Who Live at Leeds or Hendrix at Woodstock, you’re in trouble. Most big wedding bands have different lineups for different size rooms and budgets. Remember, bigger is not always better. We can help you find the right band for your venue. Gulf Coast Entertainment has booked bands for thousands of parties in every location you can imagine. Let us help you find the perfect match for your big day. Call us at 713-523-7004 to discuss your upcoming party! ← Are you sure there’s enough power?